Unicode to Preeti Converter is a useful tool like Preeti to Unicode converter. This tool helps you to convert Unicode’s article to normal Preeti font with just a single click. 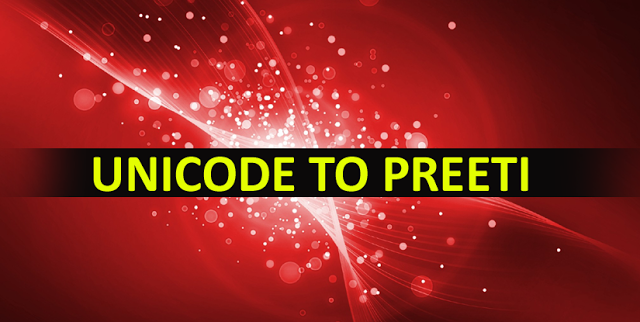 This is the most appropriate and ultimate tool to convert Unicode to Preeti.